VW says the Phideon debuts the new face of its luxury sedans, using design cues from the C Coupé GTE concept car unveiled at the Shanghai auto show last year. 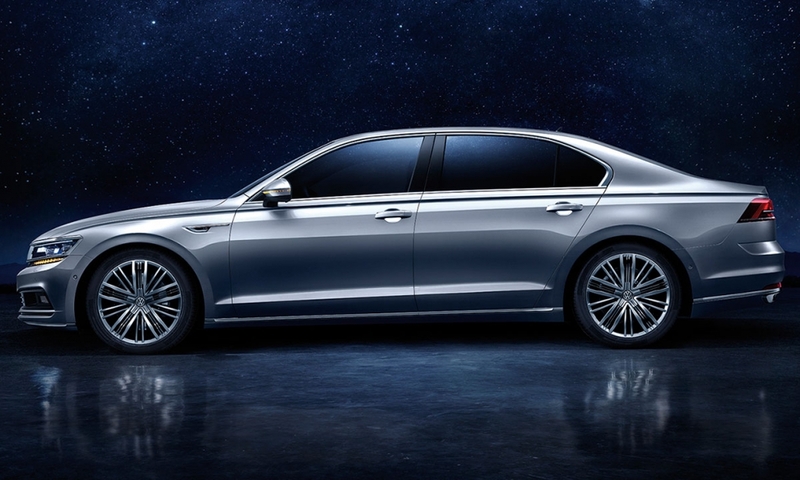 BEIJING -- Volkswagen will launch the Phideon sedan in China on Friday. The top-end model will compete directly with sister brand Audi. The sedan is aimed at buyers looking for luxurious yet less-flashy cars amid a nationwide crackdown on conspicuous consumption. Chinese President Xi Jinping's sweeping war on deep-seated graft and extravagant lifestyles since assuming power almost four years ago has made the country's consumer more wary about displaying wealth when buying anything - from fancy cars to designer handbags and fine wines. Volkswagen hopes the Phideon, a luxury-style sedan from a brand that has a mass-market image unlike automakers such as BMW or Mercedes-Benz, will help it cash in on buyers' sentiments and drive sales in China - the world's top auto market. "Shiny, blingy showing-off is no longer the behavior in the (larger) cities," said Holger Santel, vice president of sales for SAIC Volkswagen, VW's joint venture with SAIC Motor . Customers are increasingly saying "I don't want Audi, Benz, BMW. I don't want to show off." 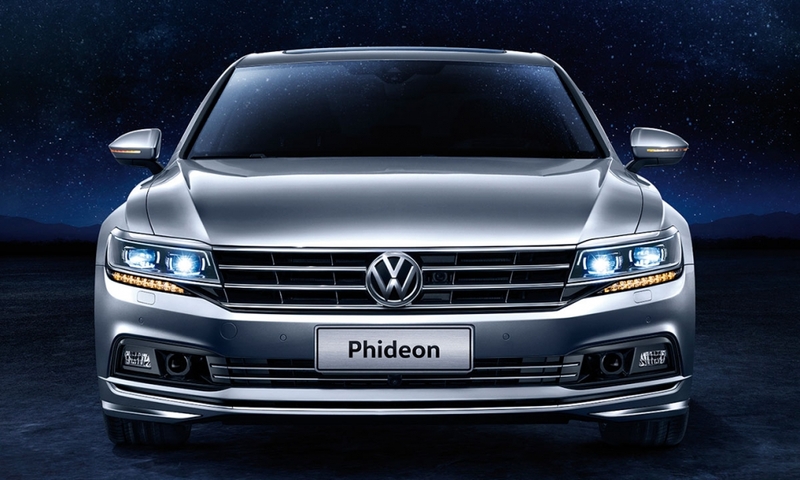 VW displayed the Phideon alongside Audi's A6, BMW's 5 series and Mercedes' E class at a media event in Shanghai, indicating it expects the Phideon to compete with these German luxury marques. "We definitely believe that our models are positioned in their own market segments," an Audi spokesman said, adding Audi does not comment on VW models as a matter of policy. Audi first rose to prominence in China as the vehicle of choice for government officials and some of its association with government excesses persists to date. The Audi A6 has a flashier price tag than Phideon but could cost the same after dealership discounts, auto experts say. VW, which is still associated with its low-end Santana sedans that have dominated the Shanghai taxi market for decades, will not offer discounts or push sales volume targets on the Phideon model to keep the focus on quality, Santel said. VW debuted the Phideon at the Geneva auto show in March. It said the car will be offered with gasoline engines and a plug-in hybrid version is planned. The top of the range Phideon with a 300-hp, 3.0-liter engine will be the first VW brand car to use a camera-based night vision system, the automaker said. The five-meter long sedan is the second flagship sedan experiment for VW after the Phaeton, a global model in the same class as the Audi A8, that was discontinued earlier this year after it failed to meet sales targets in its roughly 13 years of existence. The smaller Phideon differs in that it is being launched as a China-only model, but a VW spokesman said the company does not rule out exporting to other regions in the future. Phideon's fate will depend on its price, said Yale Zhang, the managing director of consultancy Automotive Foresight. Ford's launch of Taurus as a flagship sedan for China last November was a success, with its sales outstripping that of its entire Lincoln luxury brand in the first half of 2016, according to data from consultancy JATO Dynamics. 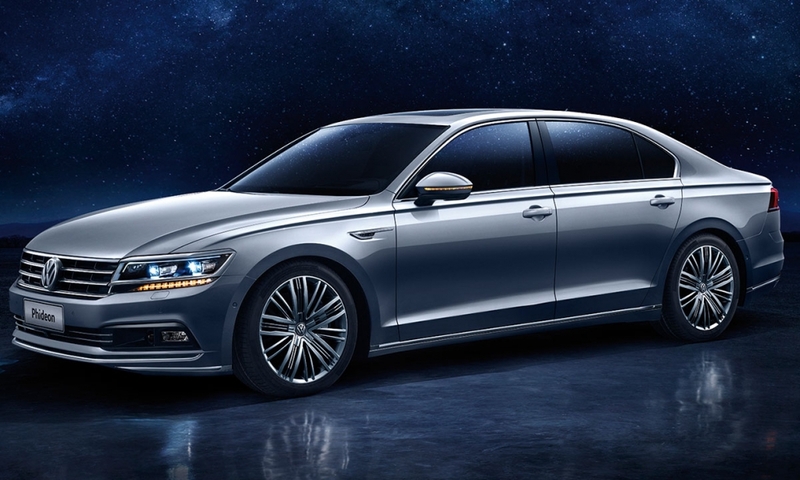 But the Phideon's 359,000 yuan ($53,273) starting price is roughly 100,000 yuan more than the Taurus and according to Zhang there is a risk the VW sedan could find a similar reception to the expensive Phaeton. Zhang predicts sales of 1,000-2,000 Phideons annually.